The government’s proposed regulatory changes to private charitable foundations are not about encouraging philanthropy or strengthening the community, but about appeasing a handful of powerful friends, writes Community Council for Australia CEO, David Crosbie. Both the Abbott government and the Turnbull government publicly committed to encouraging an increase in philanthropy. In simple terms, more philanthropy is good for everyone, well almost everyone. It seems a very small number of very wealthy people and organisations feel that the requirement to distribute at least 5 per cent of their tax exempt private charitable foundation money (Private Ancillary Fund) to charities each year is asking way too much. What if their charitable fund makes a loss on their investments one year or they have to sell some of the shares their charitable fund holds in family companies to meet the distribution requirement? Under the direction of the Assistant Treasurer Kelly O’Dwyer a reluctant Treasury has prepared proposed amendments to regulations that will enable Public Ancillary Funds and Private Ancillary Funds to distribute as little as 2 per cent a year, or even less if they have made a loss on their investments. It is important to note that people setting up or giving to an Ancillary Fund receive full tax deduction for their contributions. The government also provides an income tax exemption for all earnings on assets within an Ancillary Fund and generous refundable franking credits. Ancillary Funds can employ staff (sometimes family members) and run offices as part of their operations. They must have a charitable purpose that benefits the community. They must meet this purpose by distributing a minimum amount each year – currently 5 per cent for Private Ancillary Funds. It is estimated that charitable Ancillary Funds hold at least $4 billion in income tax free investments. Most of these funds have been quite good at making profitable returns on their investments and they currently distribute well above the required minimum 5 per cent a year – reportedly in excess of $500 million per annum to charities across our communities. These figures tell us why the creation of Private Ancillary Funds was one of the important Howard government legacies. It has encouraged and enabled philanthropy to increase in Australia. More than halving the minimum requirement of Ancillary Funds to distribute to a charitable purpose would mean a significant reduction in charitable grants each year – probably around $100 million. At a time when charities are doing it tough with increased competition for fundraising and reduced government support, $100 million is a significant amount of income to lose. The charities and philanthropic sector have prepared numerous submissions to government pointing out that the proposed changes will reduce the level of philanthropy in Australia, and reduce the income of charities doing vital work in our communities. Pro Bono Australia News highlighted the issue and CCA received significant feedback from members all concerned about the proposed changes. Not surprisingly, there is an unanimity of opposition to the proposed changes from numerous peak bodies including Philanthropy Australia, the Community Council for Australia, The Myer Family Company, Volunteering Australia, Research Australia, Good2Give, as well as countless small and large charities. They all share the same concerns. (Philanthropy Australia gave an example of a $2.6 million fund gaining full tax deductions, but only being required to distribute $11,000 to charities under the proposed new amendments in a loss making year). The Community Council for Australia submission went further and asked whether there was a case to increase the level of distribution or at least encourage people to make substantive gifts rather than dribble out a very small amount each year over decades. One gift of a million dollars is often more beneficial than $40,000 a year over 25 years. This is the Warren Buffett and Bill Gates approach – encourage people to give a lot now, not create funds that give very small amounts over decades. There is still time to reject the proposed amendments, but I am not sure government is actually listening to the chorus of concern. It seems this is yet another one of those cases where the narrow interests of a powerful few may well override a good policy that is broadly supported and benefiting countless organisations and communities across Australia. The proposed changes are not about encouraging philanthropy or strengthening our community, but about appeasing a handful of powerful friends. How not to make policy – lesson one. 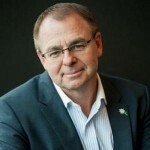 About the author: David Crosbie has been a leader in the Australian NFP sector for more than 20 years. He is currently Chief Executive Officer of the Community Council for Australia (CCA), an independent member-based organisation dedicated to building and enhancing the work of the Not for Profit sector in Australia. He is also a member of the Australian Charities and Not-for-profit Advisory Board. Crosbie was formerly CEO of the Mental Health Council of Australia, Odyssey House Victoria and the Alcohol and other Drugs Council of Australia. He has served on a range of key national bodies including as Chair of the National Compact Expert Advisory Group, the NFP Sector Reform Council, and a member of the Community Response Task Group chaired by Julia Gillard.